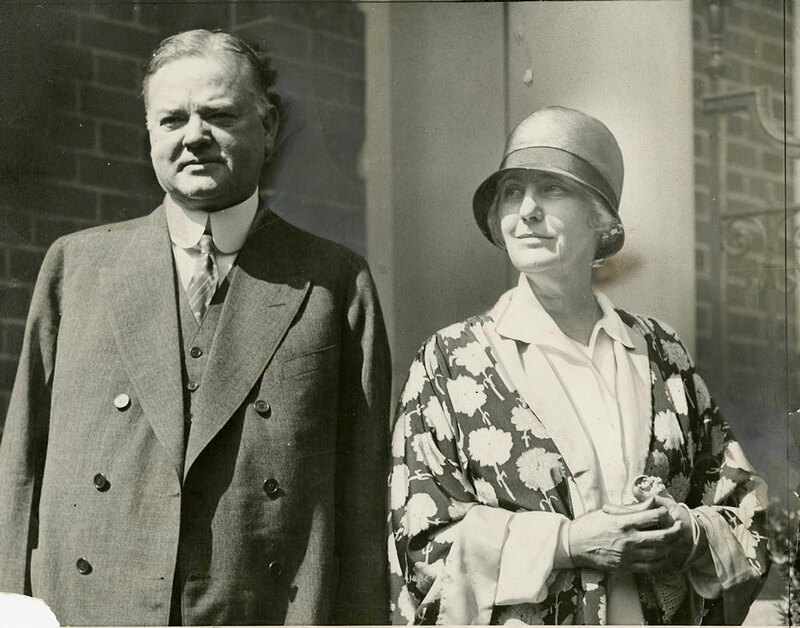 Herbert Clark Hoover (August 10, 1874–October 20, 1964), mining engineer, humanitarian, U.S. Secretary of Commerce, and 31st President of the United States, was the son of Jesse Hoover, a blacksmith, and Hulda Minthorn Hoover, a seamstress and recorded minister in the Society of Friends (Quakers). Hoover was born in West Branch, Iowa, where he enjoyed fishing in the local creek and working in his father’s blacksmith shop. Hoover lived in Iowa only for the first decade of his life. 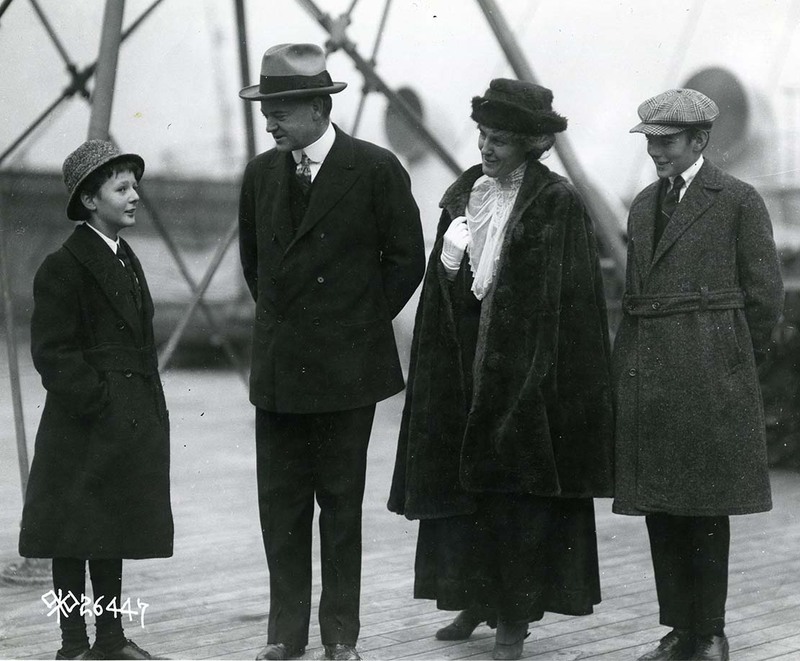 Orphaned at the age of nine, he began an odyssey that would make him a multi-millionaire, international humanitarian, secretary of commerce, and President of the United States. He left Iowa in November 1885, bound for Oregon and the home of his maternal uncle, Henry Minthorn. 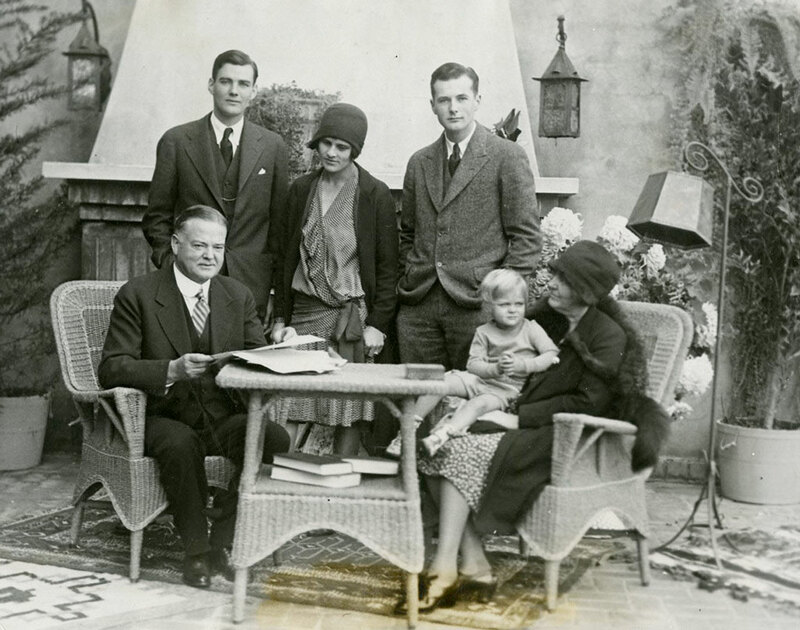 Hoover lived with the Minthorns for six years; at the age of 14 he left school to work as a clerk in his uncle's real estate business. 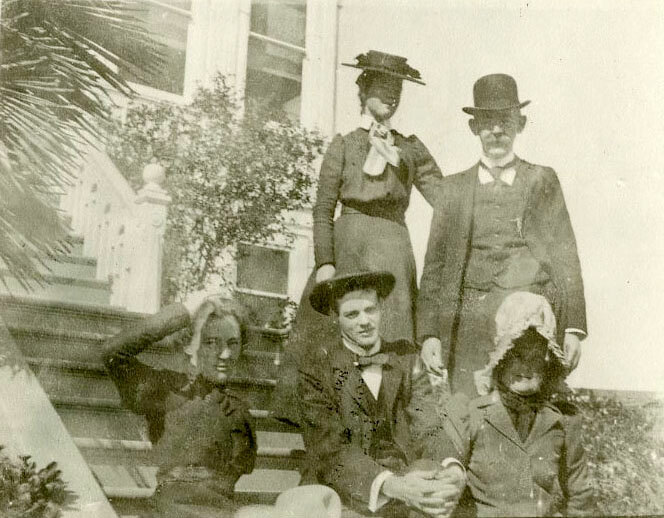 Three years later, having decided to pursue a career as mining engineer, Hoover sought to resume his studies and applied to a new school, Leland Stanford Junior University, set to open in 1891. 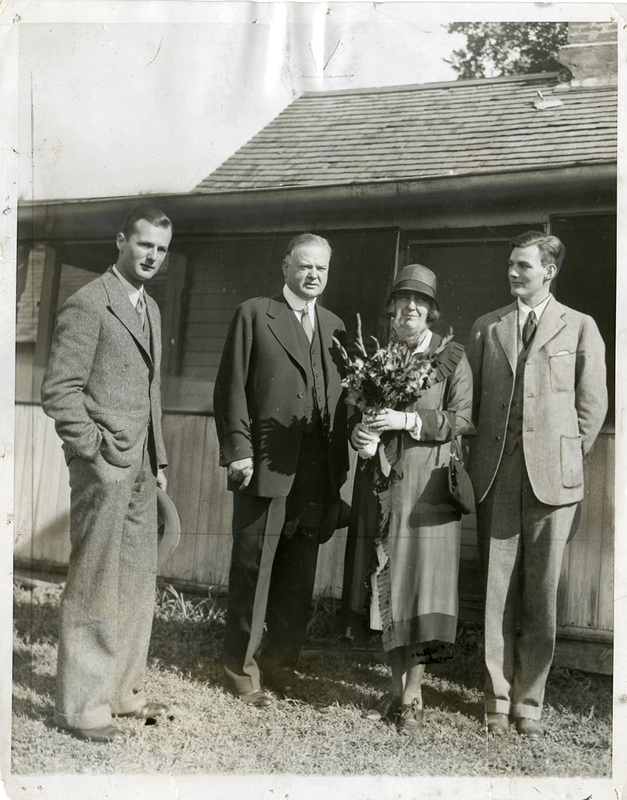 It was at Stanford that he made life long friends, found a mentor in Professor John Caspar Branner; and met his future wife, Lou Henry. He was active in extracurricular activities, serving as student body treasurer and as manager of both the baseball and football teams. Hoover graduated in 1895 over the next two decades to make his fortune as an international mining engineer and financier. 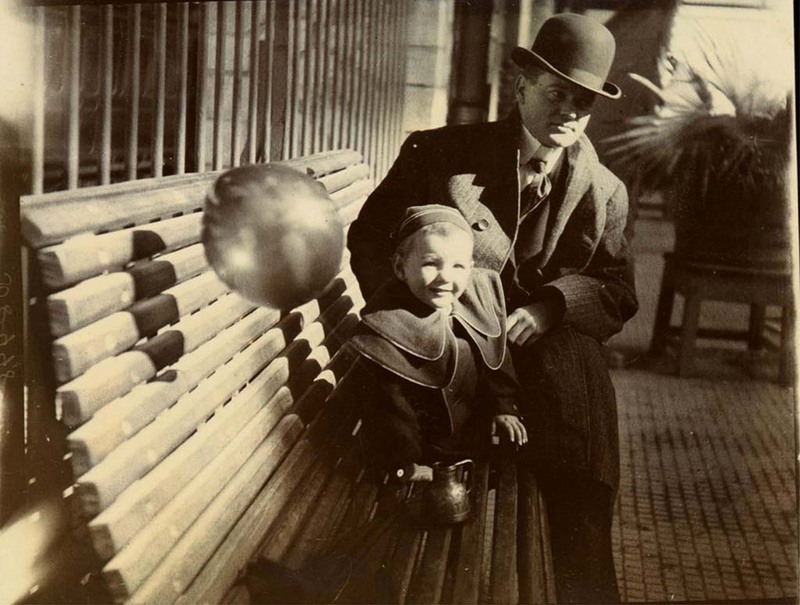 By 1914, however, he yearned for more than wealth, and World War I provided him with an opportunity for public service. Initially, he aided Americans stranded in Europe. Later, he established the Commission for Relief in Belgium to provide food for the civilians trapped in the war zone. 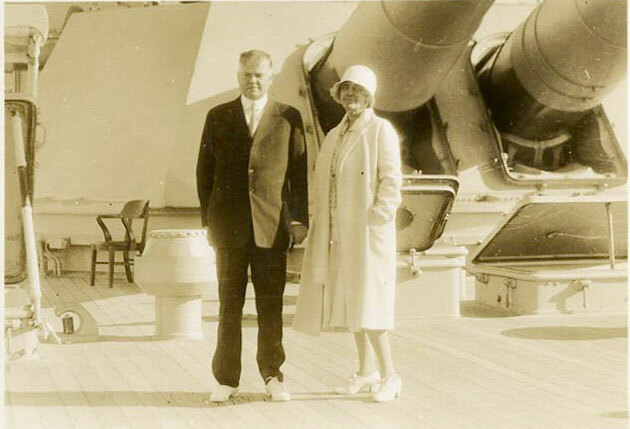 Hoover eventually declared himself a Republican and accepted President Warren Harding’s invitation to serve as Secretary of Commerce. At the Department of Commerce, where he served through both the Harding and Coolidge administrations, he established a wide range of standards for manufactured products, campaigned against waste and inefficiency in industry, and encouraged the growth of new industries such as radio and aviation. He became one of the most admired men Washington, but his fame reached new heights in 1927 because of his extraordinary service to assist the victims of the Mississippi River Flood that year. 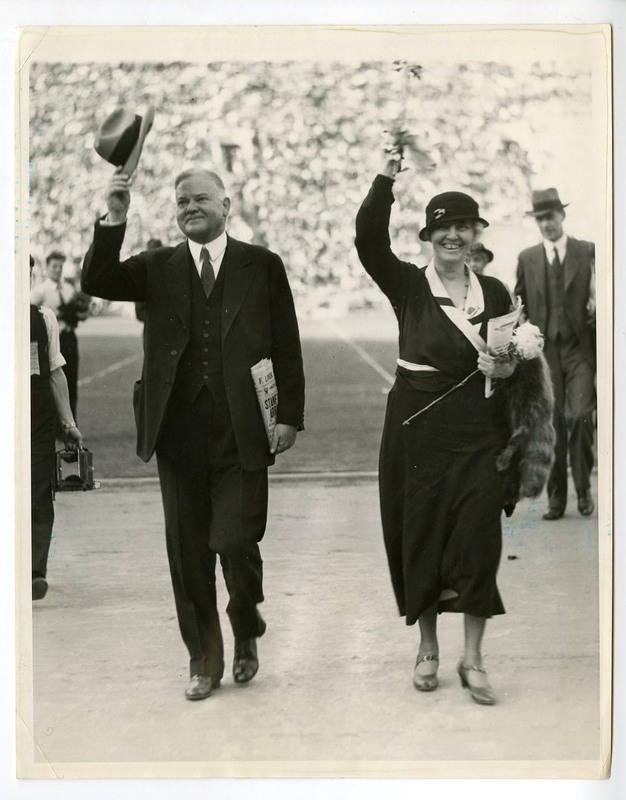 In 1928, when President Coolidge chose not to run for another term, Hoover easily won the Republican nomination despite never having held an elective office. In the November election, he defeated Alfred E. Smith, the Democratic governor of New York, in a landslide. As President, Hoover had hoped to govern in the progressive tradition of Theodore Roosevelt. And true to his dream, he devoted the first eight months of his Presidency to a variety of social, economic, and environmental reforms. Following the stock market “crash” of October 1929, the President became increasingly preoccupied with the collapse of the American economy. He established new agencies such as the Federal Farm Board, the Federal Drought Relief Committee, and the Reconstruction Finance Corporation. The President would not, however, provide direct federal relief to the unemployed. As an alternative, he promoted indirect relief through public works projects and loans to the states. His programs proved inadequate, however, as the number of unemployed workers increased from 7 million in 1931 to 11 million in 1933. The President’s political reputation as the “master of emergencies” plummeted in the face of rising unemployment. He nonetheless mounted a vigorous campaign for reelection in 1932 and traveled the country by train, defending his policies at every stop. But it came as no surprise to Hoover that he lost to Franklin D. Roosevelt in the general election. 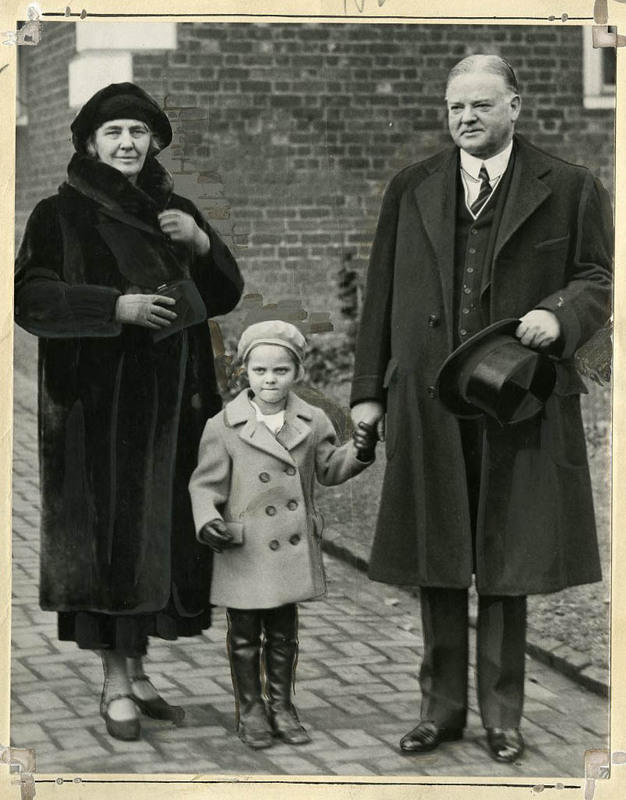 Hoover departed Washington with a heavy heart on March 4, 1933. 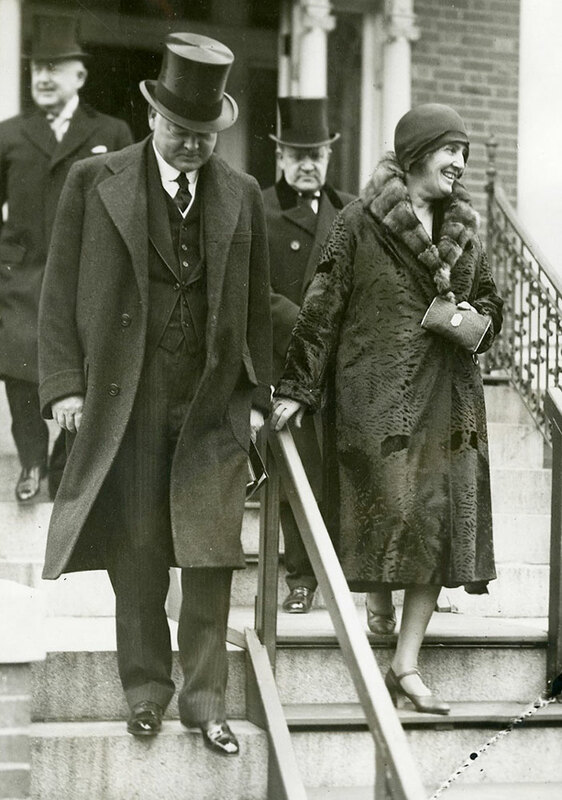 Hoover devoted the next 12 years to writing books, speaking on issues of public concern, and serving as chairman of a number of philanthropic organizations. He became staunchly opposed to Roosevelt’s New Deal policies. In late May 1945, only six weeks after Roosevelt’s death, Hoover met with President Harry Truman and the two men planned for the recovery of postwar Europe. At Truman’s request, Hoover traveled the world to provide the President with a personal assessment of world food needs. Hoover and Truman also joined forces in 1947 on a commission to reorganize the executive branch of the federal government. The commission’s recommendations led to a streamlined, more efficient post–war government. Hoover later agreed to Dwight Eisenhower’s request to chair a second Hoover commission from 1953 to 1955, but he was later frustrated by the President’s apparent lack of support for the commission’s recommendations. 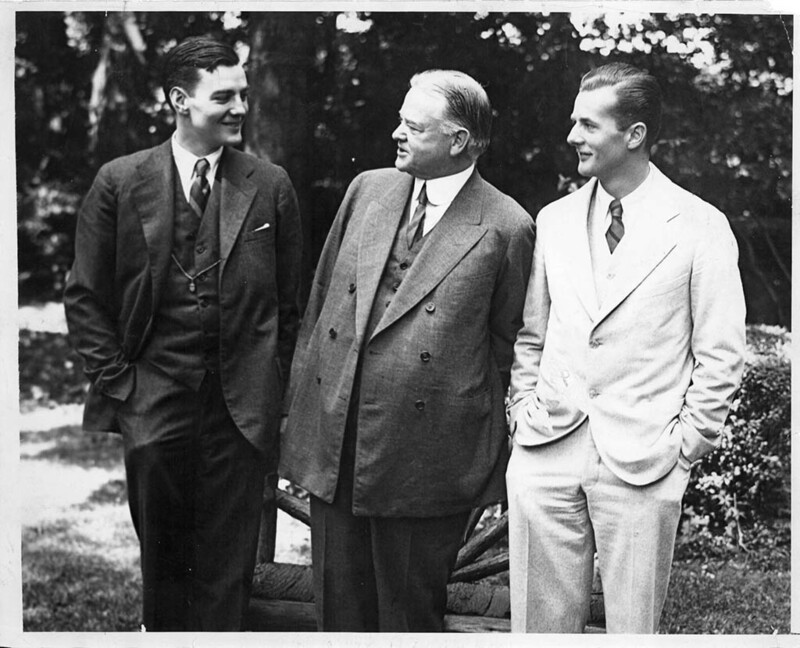 In addition to public service, Hoover devoted his post-Presidential years to social causes such as the Boys Clubs of America and the Hoover Institution, a research center he had established on the Stanford campus in 1919. He also wrote more than 40 books during those years. Hoover’s attention returned to Iowa late in the 1950s when he agreed to allow friends and associates to construct a “Presidential library” near the site of his birthplace. Hoover insisted that the building be modest in size in accordance with scale of the other buildings in the community. The former President made his last visit to Iowa on August 10, 1962, to dedicate that building to the American people. 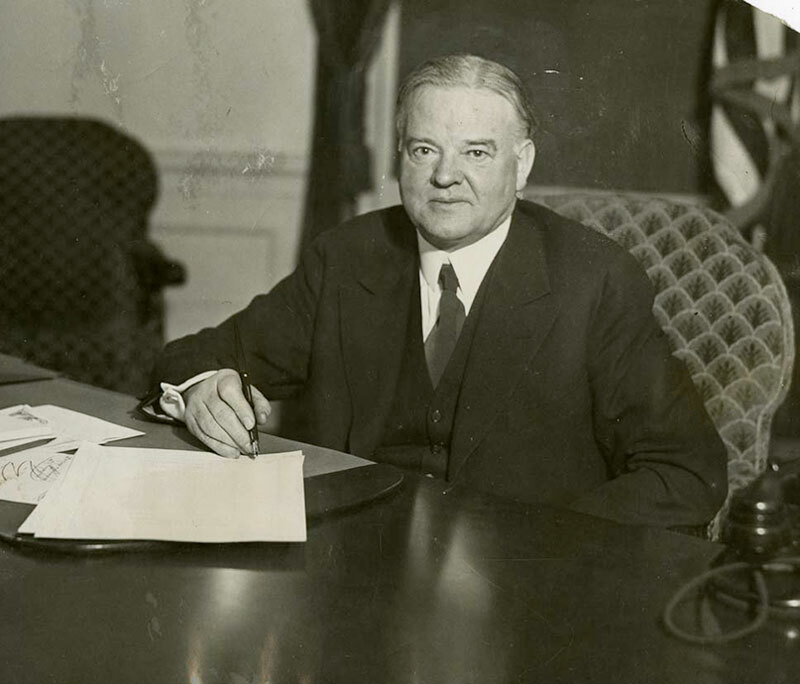 Herbert Hoover died on October 20, 1964. 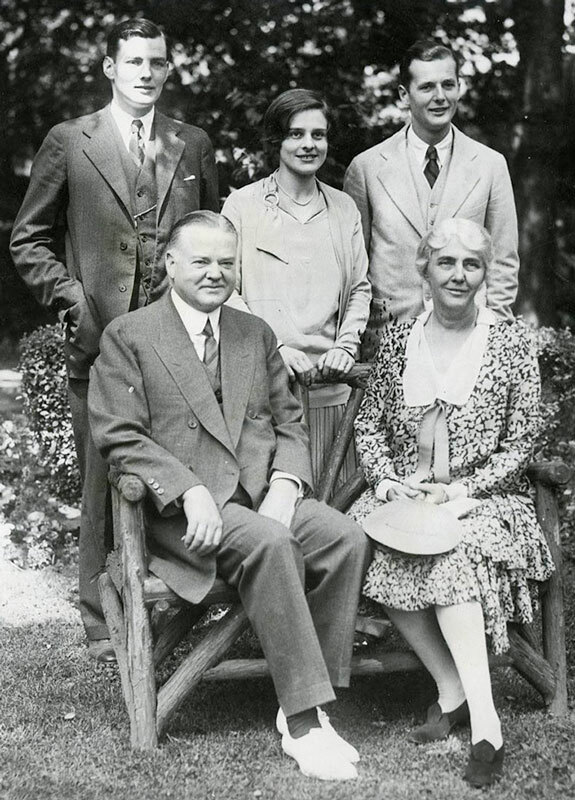 On October 29, the body of Herbert Hoover was interred in a simple grave on an Iowa hill overlooking the cottage where he was born. 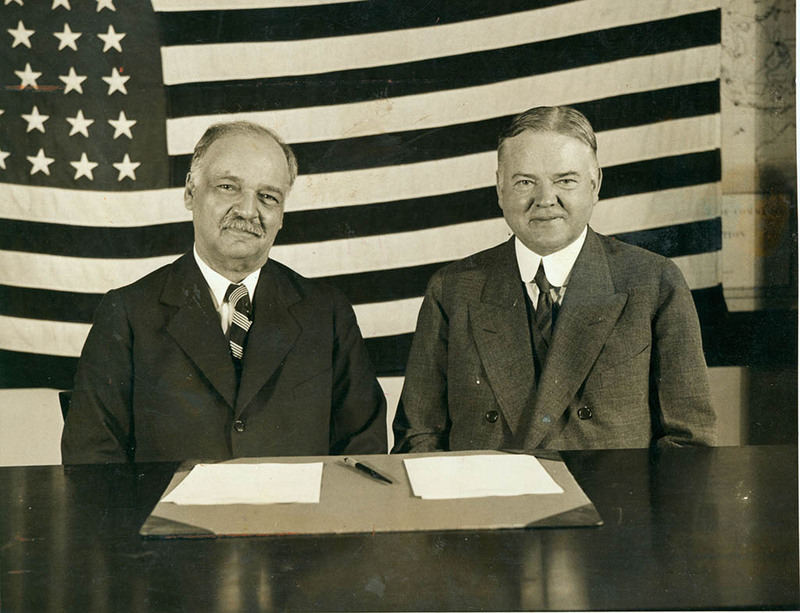 Herbert Hoover and Charles Curtis, nominees for the 1928 Republican Party. 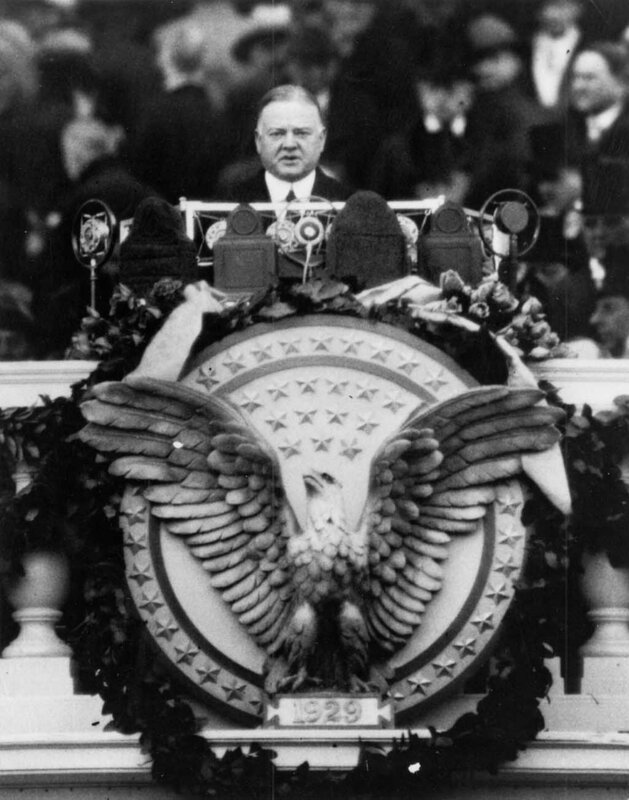 March 4, 1929 Inaugural speech by President Hoover. 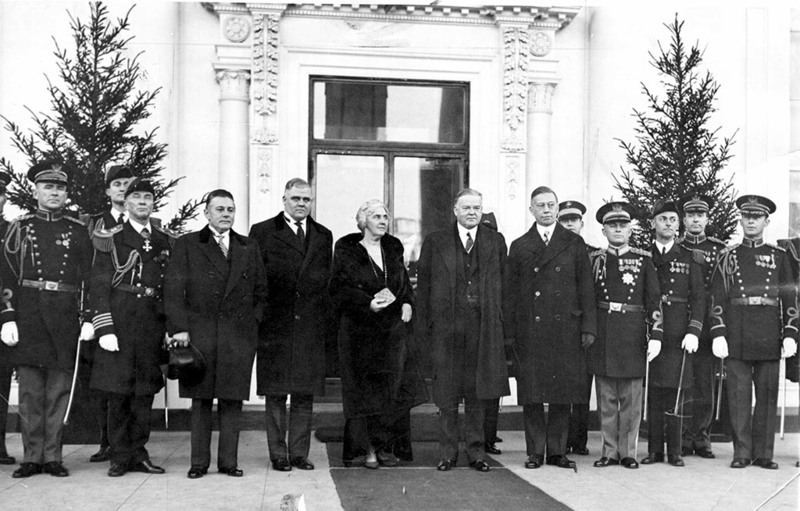 01/01/1930 New Year's Day reception at the White House. 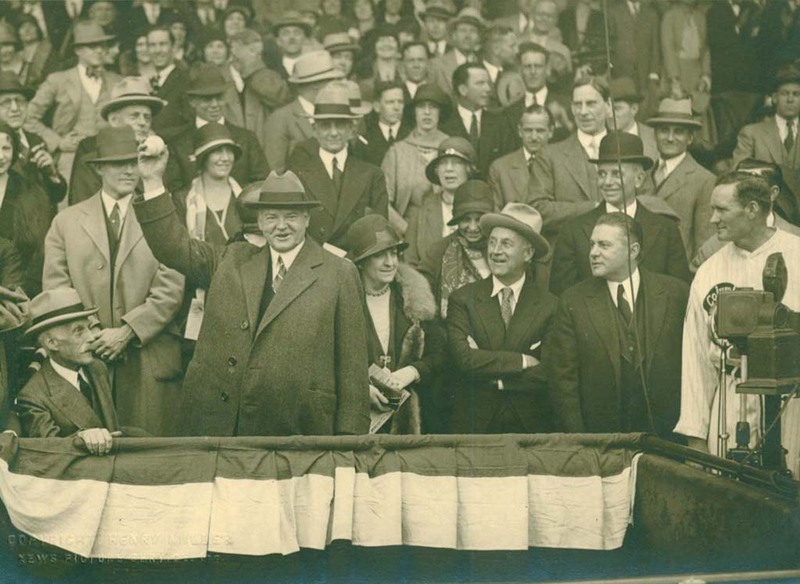 04/14/1930 President Hoover throwing out first ball in opening game of the season between the Boston Red Sox and the Washington Senators. 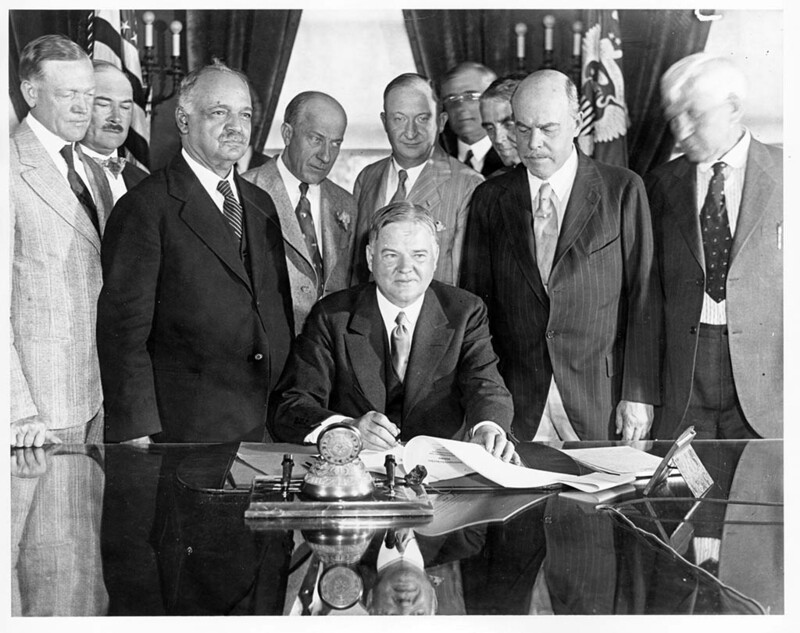 12/20/1930 Hoover signs bill to help unemployment, first photo taken of President Hoover in the White House and first telephone to sit on the desk of a president.